Believe it or not, one of my most popular posts here at Perishable Press is an article I wrote about a counterfeit Slifer Yu-Gi-Oh! card. Since its publication, I have received some very interesting information regarding the apparently extensive market for fake Yu-Gi-Oh! cards. Recently, reader Deana wrote to share her experience with an eBay purchase of a “very good counterfeit” Slifer card on eBay. Fortunately, after receiving a Yu-Gi-Oh! Slifer card that she had purchased on eBay, Deana’s experience as a collector paid off: the Slifer card was a fake! After being contacted from Deana about the fake Slifer card, the vendor acted surprised, responding that, upon closer investigation, he had realized that another one of his cards — Obelisk the Tormentor — was also a counterfeit. On another occasion, Deana received a refund for a $21 “counterfeit Red-Eyes Black Dragon card” that she had also purchased on eBay. As for the fake Slifer, the vendor allowed Deana to keep the card, which she dutifully scanned and posted for this article. 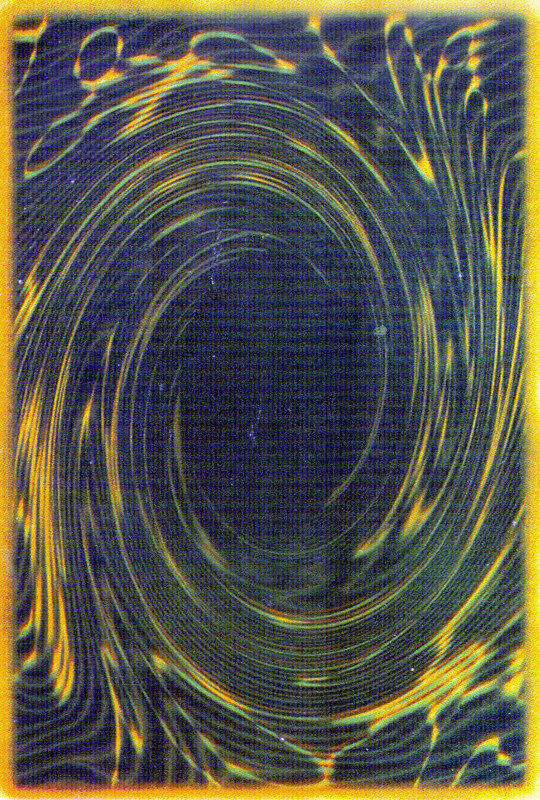 Here are the front and back scans of the counterfeit Slifer card, followed by a list of carefully observed “flaws” in the cards design. Also worth mentioning is that the vendor shipped this supposedly “rare” Slifer card in a “simple white letter envelope.” Further, “the card itself was in one of those flimsy card protectors, even though [the vendor] promised in the auction that it was going to be in a ‘rigid plastic sleeve.’” If you have purchased valuable Yu-Gi-Oh! cards through eBay (or anywhere else, for that matter), you should take a few moments and investigate the authenticity of your cards. Many thanks to Deanna for bringing this story to my attention. It does help! ;) If you have an interesting “counterfeit Yu-Gi-Oh” experience to share, please drop me a line or leave a comment on this post. Thanks! I would like to point out that a few of your Observed counterfeit mistakes are wrong. First, Genuine God Cards DO NOT have the “Konami” or “Yu-Gi-Oh! Trading Card Game”. 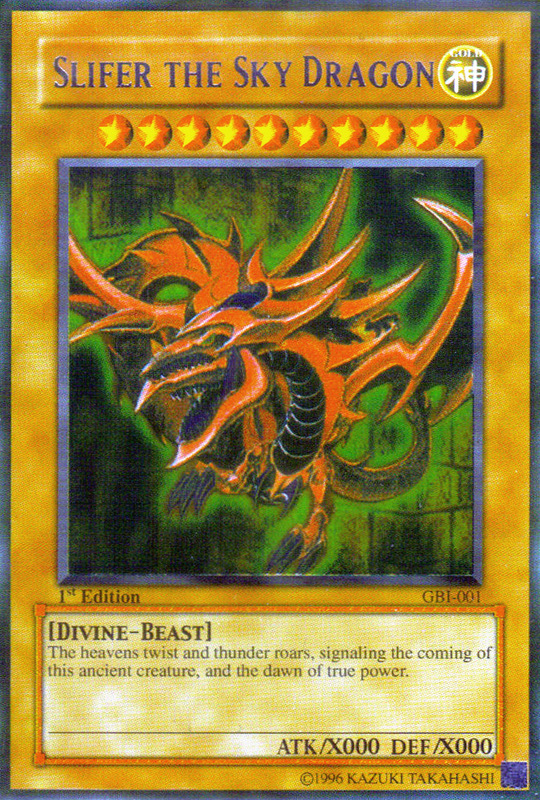 Second, Geniune God Cards DO say “Divine” and ALL Yu-Gi-Oh Cads say 1996 Kazuki Takahashi. George is right, real god cards do not have the “Yu-Gi-Oh!” and Konami logos on the back, two additional things. Each god card has a different colored back, Slifers being red, Ra is yellow, and Obiliesks being blue. And each god card says “This card cannot be used in a duel.” in the bottom left where the serial number should be. Thank you for the information, Jason. I am now convinced that you (and George) are correct concerning the lack of “Yu-Gi-Oh!” and “Konami” logos on the back of legitimate God cards. Subsequent articles concerning counterfeit Yu-Gi-Oh! cards will reflect this information. Also, huge thanks for the additional tips about the different card colors for God cards. As for your last point, where on the card is the serial number that is replaced by the phrase, “This card cannot be used in a duel.”? Thanks again! The god cards that are included as promos in American video games say “This card cannot be used in a duel.” As for the god cards that are included in the Yu-Gi-Oh Worldwide Edition game, it contains the kanji characters in the bottom-left corner of the card. Yes, the phrase “This card cannot be used in a duel.” is on the bottom-left corner of the card. Thank you for sharing this information, RJ. It looks like you are confirming the location of the phrase, “This card cannot be used in a duel.” — correct? And I assume that we are talking about the front side of the card (the side with all of the card’s information)..? Even more interesting is the notion that cards from American video games include the “card cannot be used” disclaimer but those obtained from the Worldwide Edition do not. Do you know the meaning of the kanji characters that replace the disclaimer (i.e., does it say the same thing, only in kanji)? Also a good way to tell if a card is fake is by comparing it’s text to another card you own to make sure it’s the right format. 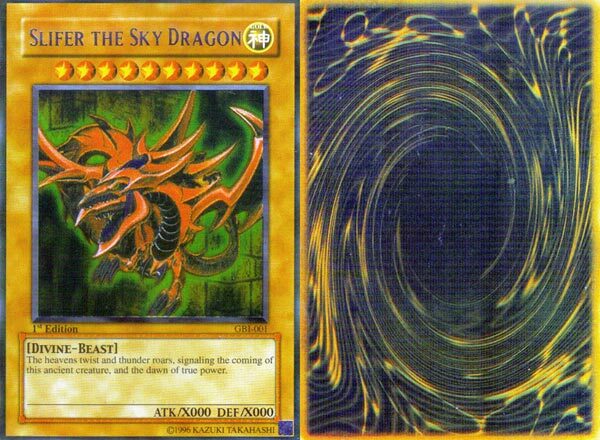 I almost forgot the back of all real egyptian god cards are suppose to be missing the Konami copyright and Yu-Gi-Oh! Logo. They explain that on every website and It’s like that on the back of my Slifer and Ra. By the way I got mine directly from the games. My friend gave me his Slifer(GB1-001) from his Worldwide Edition game and I got The Winged Dragon of Ra(DOD-001) from the Dawn of duel game. It should be noted that the Asian-English Slifer’s text is a bit different when compared to most english cards I don’t know why but I checked it out with a few other GB1-001 Slifer cards in person and online but they seemed fine. Like I mentioned before about comparing the weight of two cards make sure they are they are from the same country. I know I said this already but I can’t stress this enough. Diez, you are a literal wealth of Yu-Gi-Oh information! Thank you for the emailed link to the hi-rez scans, and thank you also for sharing from your apparently extensive experience with identifying counterfeit versus authentic Yu-Gi-Oh god cards. It is much appreciated, and I am sure that your advice will further help readers determine and verify the legitimacy (or illegitimacy) of their suspect Yu-Gi-Oh cards. hello. i started collecting yu gi oh cards because one of my friends plays tournaments. i have around 1,000 cards. i dont know which are fake or real. i also have cards that have the same picture but different name. and i also have some that have the same name but different picture. how do i tell the real ones from the fake? and also the numbers right below the picture on the right side, is that a way for me to tell if they’re real or fake? thank you.